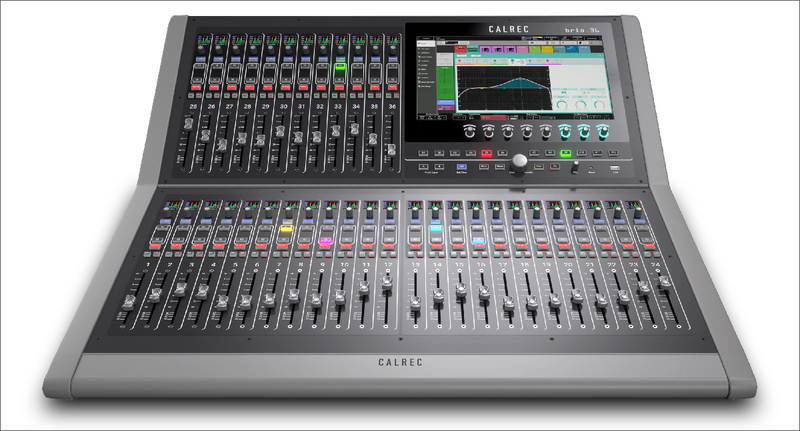 Home Latest Rush Media choose Calrec Brio 36 for all six of their new OB fleet. Wisconsin US – Rush Media is the latest broadcast specialists to choose the Calrec Brio 36 for their six OB trucks. The fleet, which is mainly used for sports broadcast, required a high-quality audio console with a small footprint. Each of Rush Media’s new mobile units is custom built, 40 ft. straight trucks with expanding sides. 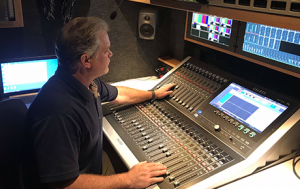 Each truck includes eight camera control units, two 8-channel replay servers, two graphics generators, a 36-input switcher, a 48-port communication frame and a main truck router with full audio capabilities. “The Brio36 is the perfect fit to bring all of the equipment elements together, in a limited space, with no other console at this price point coming close,” says Rusty Cummins, Senior Engineer, Rush Media. The Brio36 provides 36 dual layer faders and by using its Hydra2 expansion port, Rush Media was able to double the size of the console’s I/O. Utilising MADI in and out of the truck router, provided the company with more than enough paths and fit perfectly in the space available. Rush Media’s newest Calrec Brio36 equipped mobile unit is being used for all home and away broadcasts for a major league soccer team. The home broadcasts require multiple transmission feeds with unique audio assignments, as well as providing the visiting team with separate field FX microphones to be used for their broadcasts. According to Cummins, the combination of extra I/O provided by the Br.IO wall-box and MADI to the truck router makes it easy for the operator to provide these feeds. Rush Media offers a smaller, cost-effective alternative to the full budget, larger footprint mobile units that have been a staple for regional and national sports networks and is a producer of live sports broadcasts as both a packager and truck provider for numerous networks, including Fox, CBS, NBCSN and ATTSN. You can find out more about the Calrec Brio 36 here or contact Synthax Audio UK on 01727 821 870 to arrange a demo or to ask for more information.